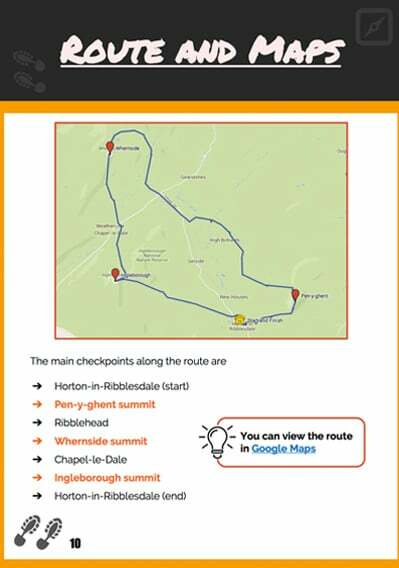 The Yorkshire Three Peaks Challenge Guide is free to download. 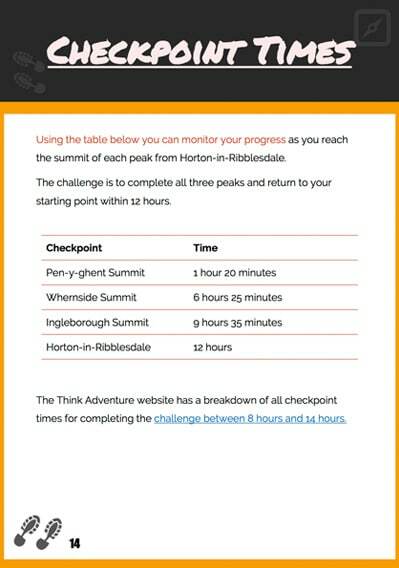 It contains all the information found on the Think Adventure website. It is in a PDF format so it is easy to read, share and print. 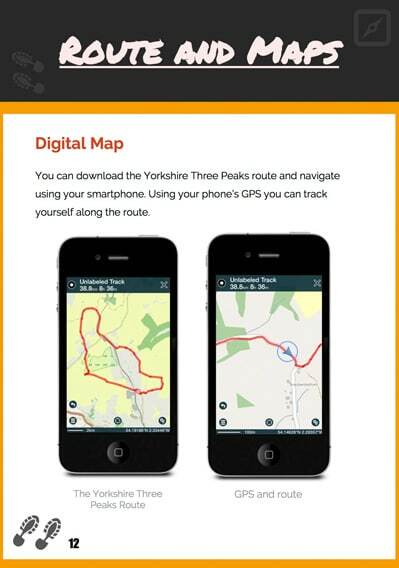 You can send the guide to your smartphone and have access to the guide while you complete the challenge. 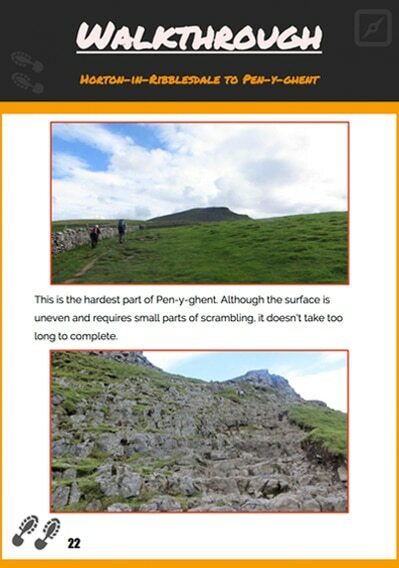 The full guide is 60 pages long and contains pictures of the Yorkshire Three Peaks and outlines the route, checkpoints and equipment. 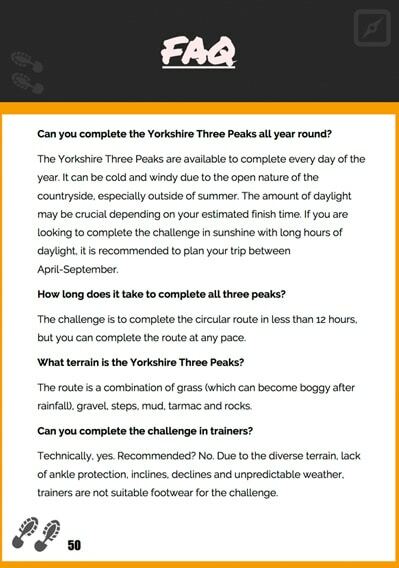 The guide contains everything you need to know about completing the Yorkshire Three Peaks Challenge. Here is a sneak preview inside the guide. Sign up below to gain access to the free guide. 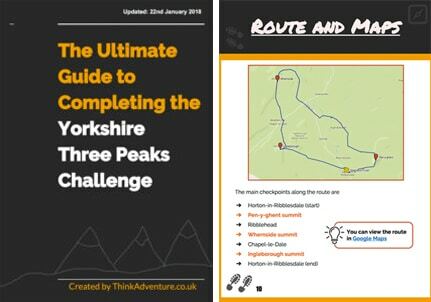 The 60-page eBook will guide you through the Yorkshire Three Peaks Challenge. No getting lost! 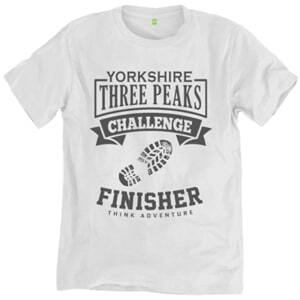 View a selection of finisher T-shirts on the Think Adventure Teemill store. 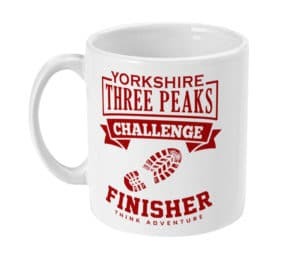 View a selection of finisher mugs on the Think Adventure store. Cycling from Hull to Paris: Pedalling across the Netherlands, Germany, Belgium and France. Keep up with Think Adventure on Instagram.